After teasing the market with a photo containing three servers, the word Hyper and some blank puzzle pieces, Cisco announced their own Hyper-converged Solution: Cisco HyperFlex. This solution is an extension of Cisco’s Unified Computing System (UCS). Until now the UCS platform portfolio did not contain a native Cisco storage solution. 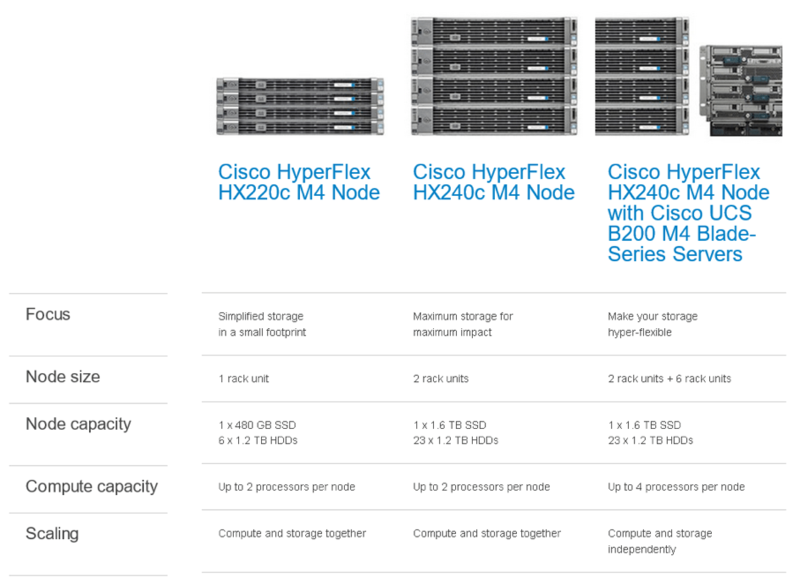 Finally Cisco entered the highly competitive Hyper-converged Infrastructure (HCI) market with HyperFlex. 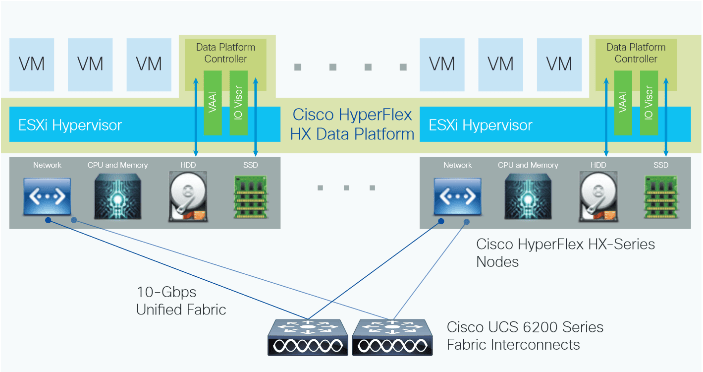 The Cisco HyperFlex solution combines compute, storage and the network in one appliance. Cisco says the solution is unique in three ways: flexible scaling, continuous data optimization and an integrated network. All other HCI vendors do Hyper-converged with compute, storage and networking, but none of these have a complete integrated network solution. As expected of a former networking only company, Cisco also integrated the network. The platform is built on existing UCS components and a new storage component. The servers used in the solution are based on the existing Cisco UCS product line. Networking is based on the Cisco UCS Fabric interconnects. The new storage component in Cisco’s platform is called the Cisco HyperFlex HX Data Platform, which is based on Springpath technology. Springpath was founded in 2012 and Cisco co-invested the start-up. 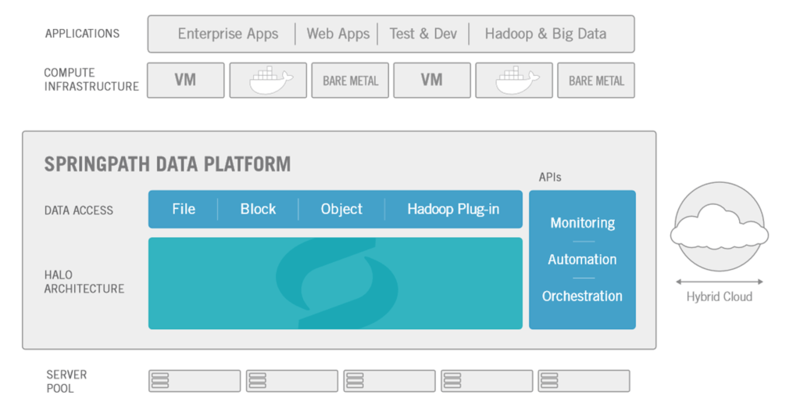 Springpath has developed its own data platform using HALO (Hardware Agnostic Log-structured Object) architecture. The HALO architecture offers a flexible platform with data distribution, caching, persistence and optimization. Cisco has re-branded this to the Cisco HyperFlex HX Data Platform. All data on the Cisco HX Data platform is distributed over the cluster. Data optimization takes place by using inline de-duplication and compression. Cisco indicates most customers should reach 20-30% capacity reduction with de-duplication and another 30-50% with compression without any performance impact. First the HyperFlex solution will only be available with the VMware hypervisor using NFS as storage protocol. A Data Platform Controller for communication with the physical hardware will be used for the HyperFlex platform. This Data Platform Controller requires a dedicated number of processor cores and dedicated amount of memory. The controller integrates the HX Data Platform with the use of two preinstalled VMware ESXi vSphere Installation Bundles (VIBs): IO Visor and VAAI. IO Visor provides a NFS mount point and VAAI offloads file system operations. The HyperFlex storage is managed with a vCenter plug-in. There are currently no details available about the layout and functionality of this plug-in. We expect the plugin will be the same as Springpath with Cisco branding. The physical server and network is managed like any other Cisco UCS server. Each server will be connected to the Fabric Interconnect and managed from the UCS manager interface. The HyperFlex platform is available in three different models, an 1U and 2U rack based server and a combination of rack servers with blade servers. The first model is for a small footprint, the 2U model is for maximal capacity and the last option is for maximal capacity and high compute. All configurations must be ordered with a minimum of four servers. As far as we know at this stage the maximum number of servers in a HyperFlex cluster is eight. Each server will be delivered with VMware pre-installed. The hardware configuration of the HyperFlex nodes is not fixed. You can choose your type of processor, amount of memory and the amount of disks. On the Cisco Build & Price website all available configuration options can be found. You can always scale your cluster by adding storage and/or compute nodes. Cisco has an interesting licensing model for the HyperFlex HX Data Platform. The HX Data Platform will be licensed on a per year basis. In the configuration tool by default a server is configured with a license for one year. This licensing model deviates from other HCI vendors who base their license model on raw or used TB’s, or use a perpetual license. Cisco is a new and interesting player in the rapidly growing Hyper-converged market. The technology used provides some nice features, capabilities and an interesting licensing model. Time will tell if the product will be successful and what the roadmap will bring for the future. But at first sight it looks like a good alternative for the leading Hyper-converged solutions.